For April fools', a group of EHL students have decided to prank the tight EHL community. 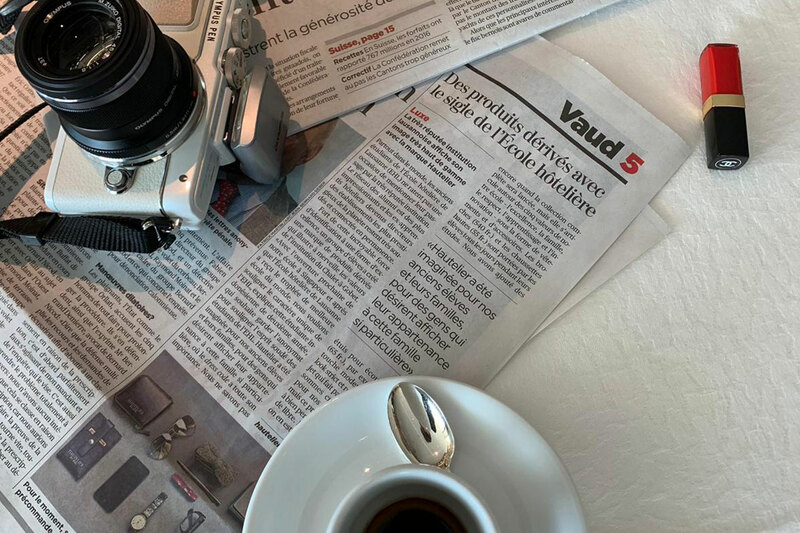 With a dedicated website: hautelierbyehl.com, and a press article in the Swiss Newspaper 24heures, they have proven how strong their network can spread the news in just 1 day. April fools' day is an annual celebration commemorated on April 1 by playing practical jokes and spreading hoaxes. While only 11 countries worldwide celebrate it, many countries have adopted a similar tradition by setting a day to play harmless pranks. Little is known about the origins of this tradition but some newspapers, magazines and other published media report fake stories, which are usually explained the next day or in smaller font below the news section. The media prides itself on a long tradition of elaborate hoaxes. For April fools', a group of EHL students have decided to prank the tight EHL community with the announcement of the launch of a luxury product line by their university. Elaborating a hoax to look credible and create a buzz around campus, they took on the project with the usual professionalism they are accustomed to. As EHL encourages its students to actively participate in every class and extracurricular activity they attend, we could not expect less of them. They have thought about this project in a creative and pragmatic way using the appropriate technology to reach their objective. By doing so, they learn how to work within a team, to take on leadership roles and to quickly and effectively apply what they have learned... While keeping it a SECRET!